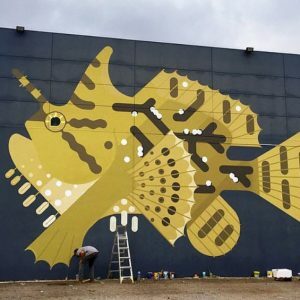 Most of my work is online and I often do it on my computer at home. If you use your computer at home like me, then you are going to need a good computer desk or table. Finding the right modern minimalist computer desk can be a challenge. The good news is, I am here to help. I have done some research and has come up with a list of the best minimalist computer desks for your home (or office). The list is based on design and features. The Corner Computer Desk by Edison Walker is a sleek and minimalist computer desk. The surface is made of glass which gives it that elegant polished look. The L shape makes it great for a home office. I also love the minimal X steel frame. In terms of construction, the glass is made of quality polished and beveled, tempered safety glass. The frame is made of durable and strong frame with a nice powder coat finish. The desk also has a sliding keyboard trey and a dedicated stand for the CPU. The desk can be disassembled into two stand alone desks. 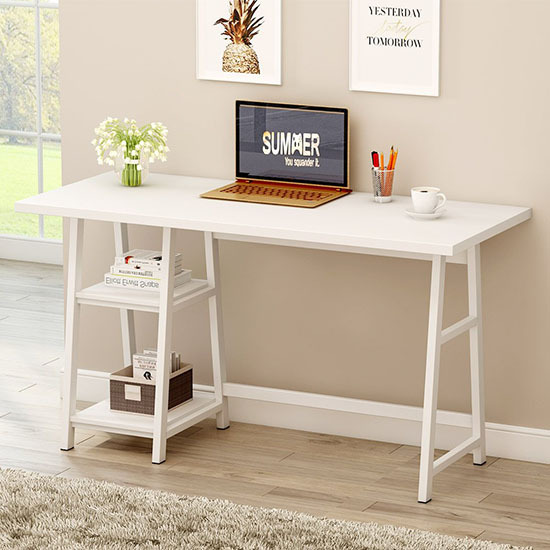 This modern minimalist L-shaped computer desk has a beautiful clean white top with a minimalist rectangular frame. I just love the sleek and elegant frame, which I think looks perfect for any minimalist home space or even office. The top is made of high quality wood that is designed to be scratch, stain and heat resistant. The thick frame is made of heavy duty steel with reinforced base for durability. 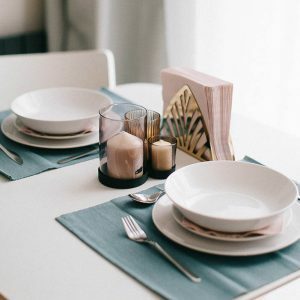 The table can be put together easily which would take about 30 minutes or less to assemble. 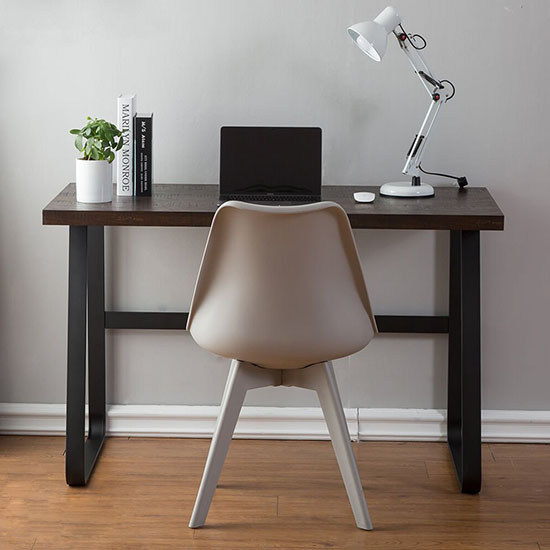 If you’re looking for a minimalist desk than blends really well with your home, this computer desk by TMS is perfect. The desk has a nicely design file and accessory drawers which is great if you need a place for your work documents or equipment. The desk also has a beautifully design shelf which can be great to put your books on. The desk is easy to assemble according to users and can be done yourself. The desk is made of great quality wood and is extremely sturdy. 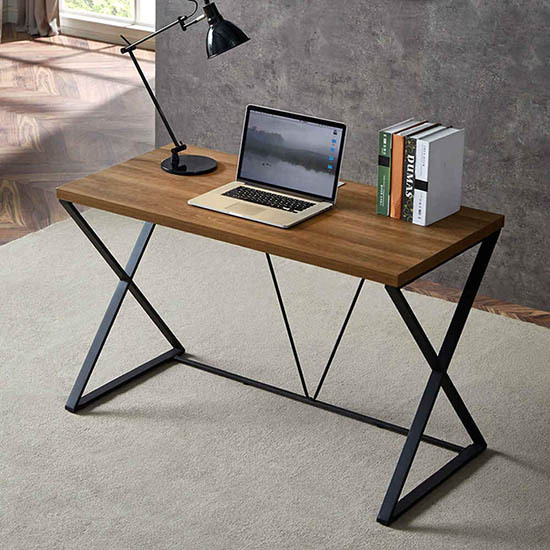 This is another beautifully designed minimalist L-shaped computer desk. The clean cuts of the desk makes it look really modern and upscale. Really great for a home office or workstation. The desk is made of espresso-colored wood grain laminated environmental particle board. 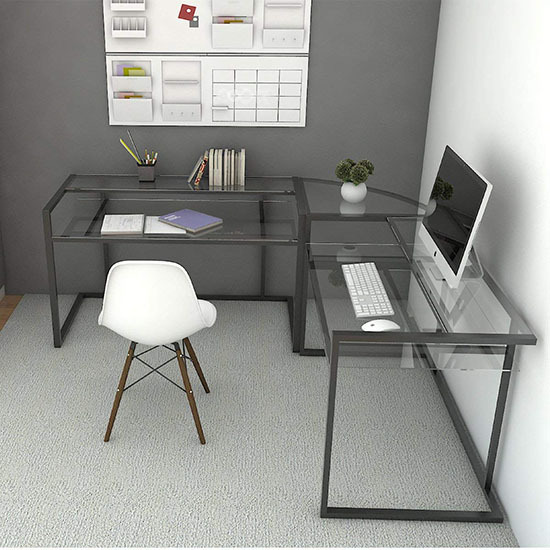 The whole desk is easy to assemble, which according to a user, takes him only about 12 minutes to put together. It also has shelves which you can use to keep your documents or books organized. Sometimes, just a simple minimalist single computer desk is sufficient. This gorgeous desk by DYH is a beautiful combination of vintage and modern. The wood grain desk top gives it a upscale and expensive look. I love wood top desks, I believe it gives a natural homey ambiance to the space. In terms of construction, the frame is made of sturdy steel with a nice industrial design. The thick desk top is made of great quality MDF and wood grain. 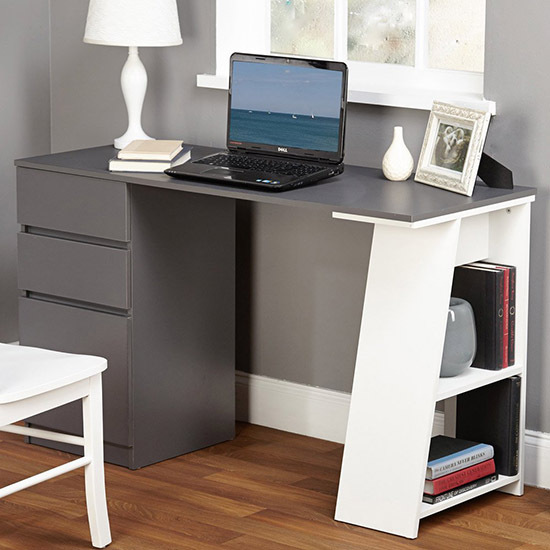 Pair the desk with a beautiful home office chair and you have a gorgeous workstation. 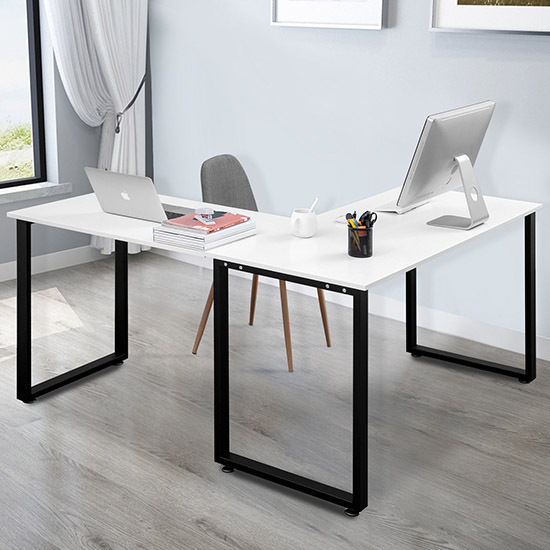 If you’re looking for a small and really minimalist design computer desk, this desk designed by Monarch is a great looking option. 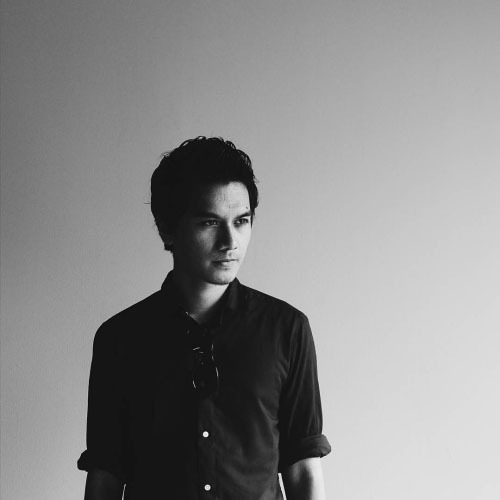 The thin frame and top gives it that simplicity while still looking exquisite. This is great for students who use a small laptop or if you have a small space. Although thin, the frame is made of sturdy metal which can handle a good amount of weight. The table is made of MDF wood. 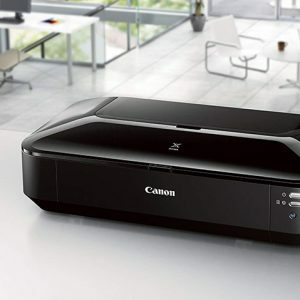 It is also lightweight, which is great if you want to move the desk around. This is another great design by DYH. 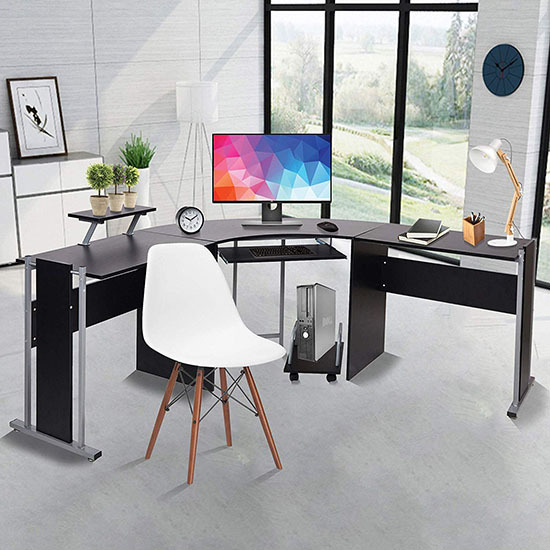 This modern and minimal desk has a beautiful thick wood top and a nice industrial design X-frame that really highlights the sleek design. The built is durable and sturdy. The thick desk top is made of MDF with a nice polished wood veneer. The frame is made of strong and stable metal which can withstand a great amount of weight. There is also a “V” support at the back to add more durability and stability. 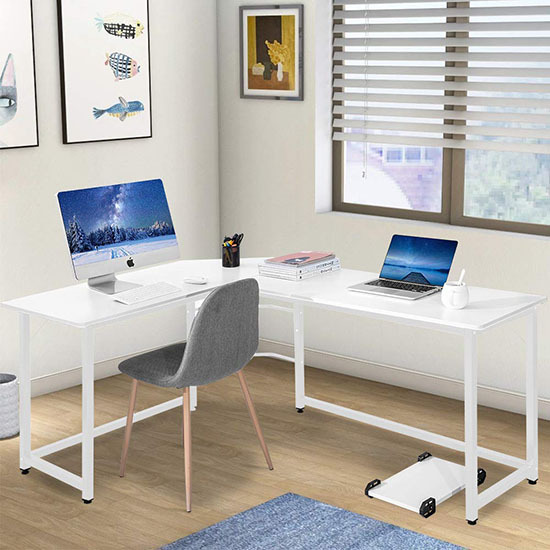 If you’re looking for a bigger set up for your home workstation, the L-shaped computer desk by LuckyerMore can be great for you. It is really well designed and functional. The desk legs looks very modern and somewhat futuristic. A great option if you want to utilize a bigger space. 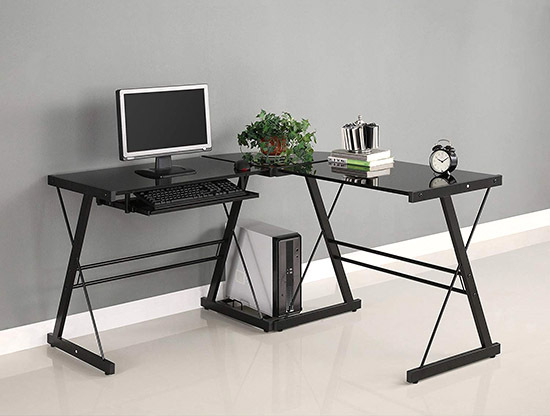 The desk comes with a built-in keyboard tray and a dedicated rolling CPU stand. The polished looking desk top is made of 15mm E1 MDF wood which is waterproof, anti-scratch and anti-friction. The frame is made of heavy duty steel tube which is stable and strong enough to handle heavy weights up to 180 lbs. This unique wall-mounted computer desk can add some creativity to your minimalist space. Great, if a conventional table just doesn’t cut it for you. 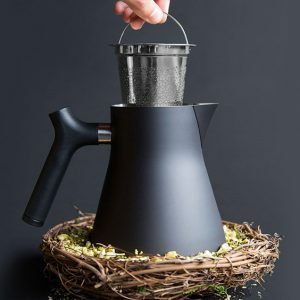 The matte black finish makes it look elegant and sophisticated. The great thing about this desk is the wall shelves which is really practical and functional. You can nicely organize your documents and things easily right next to your computer. Also, the design is compact which can save a lot of space. The desk is made of durable MDF wood which is also easy to clean by just wiping with a wet cloth. Many users use this desk not only for their computers but also for multiple purposes such as sewing and reading. 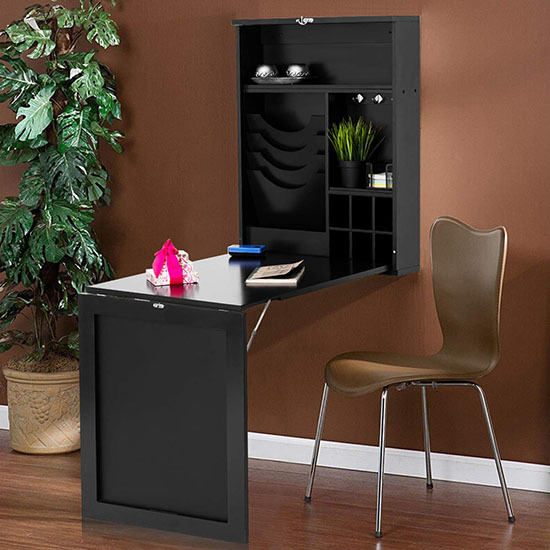 This wall-mounted fold-able laptop desk is a nice option if you’re looking for an even more compact wall-mounted desk. 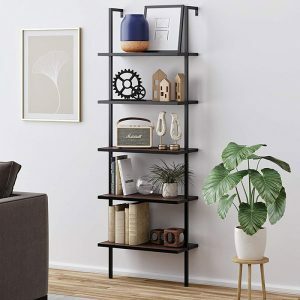 Great for small spaces. 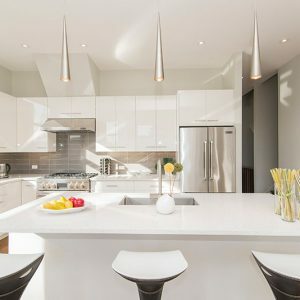 The clean white finish gives it a really modern and minimalist chic look. The desk has four compartments which includes one angled paper organizer, a corkboard, a drawer and the fold-down desktop. 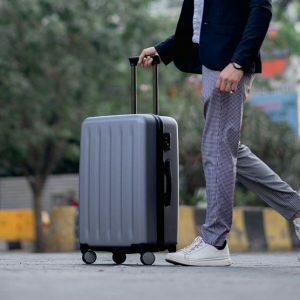 The whole piece only weights about 25 pounds which can support up to 30 pounds, which is perfect for a lightweight laptop. Regarding built, the desk is made with great quality engineered wood and cork. I really love this one. The unique transparent glass desk top looks super clean and sophisticated. Even the sliding keyboard tray is on top of glass. Also, the clean and straight design of the black metal frame adds to the overall gorgeous minimalistic design. The glass is made of hiqh quality polished and beveled, tempered glass which can handle a good amount of weight. The frame is made of durable steel with a nice sleek powder-coat finish. This computer desk by Tribesigns is a really well designed desk with a charming thick solid wood desk top. 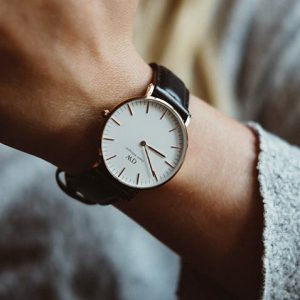 The water-based finish gives it a polished, sleek and minimalist look. 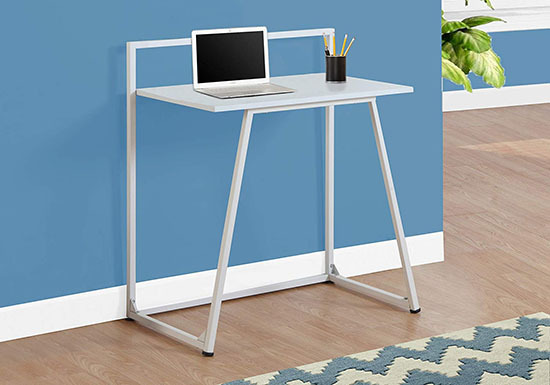 The elegantly designed slanted metal leg adds a nice character to the desk. 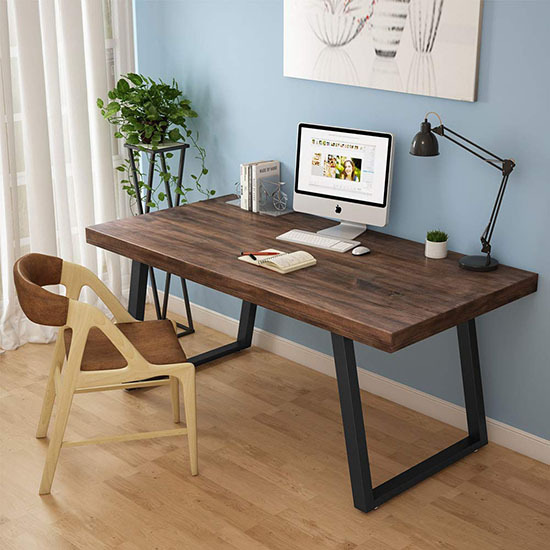 The desk top is made of durable reclaimed pine wood, while the legs are made of strong, heavy duty steel which is powder coated for that nice exquisite finish. The desk is easy to assemble, which according to the manufacturer will take only about 5 minutes. Tribesigns make a lot of beautiful desks, and this white minimal design computer desk is another one. I love the sophisticated all-white finish. It makes the overall aesthetic looks really clean. The desk has adjustable shelves which can be assembled to the left or right based on your preference. Also the second shelf can be removed if you need to put a tall PC. The bottom shelf is sturdy enough to handle a good amount of weight up to 220 lbs. The desk is made of E1 particle board while the legs are made of solid steel which gives it stability and durability. This computer desk has a simple yet elegant modern design. It is also big enough to fit multiple monitors which is great if you do visual work like video editing or 3D rendering. The legs come in two options, white or black. The white version looks better in my opinion. There are also options with wooden or black finish desk top. 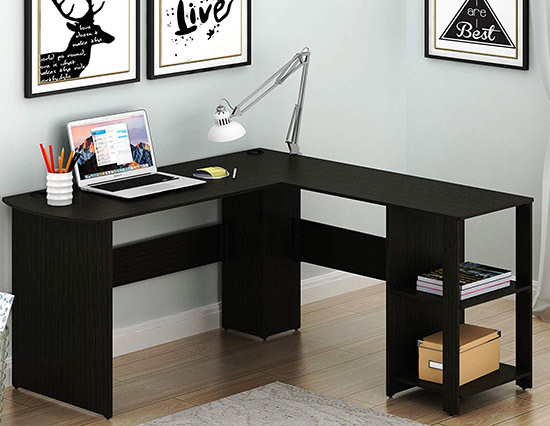 In terms of built, the desk is made of medium density fiberboard which is easy to clean. The desk also comes with a dedicated CPU stand. As the final entry on this list, I have included this large computer desk by CUBOC. This is probably the simplest in design and shape on this list. Although it looks simple, I love the sophistication of it. The combination of the wood desktop material and steel legs is really well put together. In terms of construction, the desk top is made of 25mm particle wood with a nice glossy finish that gives it that polished look. 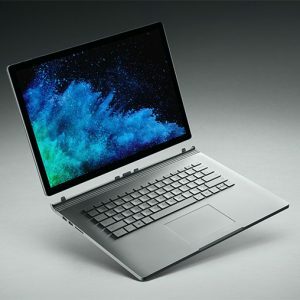 The surface is also waterproof and anti-scratch. The legs are made of heavy duty steel that is powder coated. The desk can hold up to 800 lbs of weight which is a lot. Having a nicely designed minimalist computer desk can improve your experience on the computer. 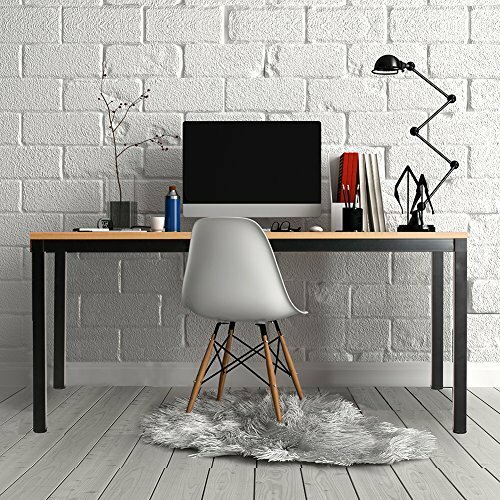 However, the most important tip to keep any desk looking minimalist is to keep it clean and tidy. Often, the simple things can make a huge difference. I hope you have enjoyed this list. 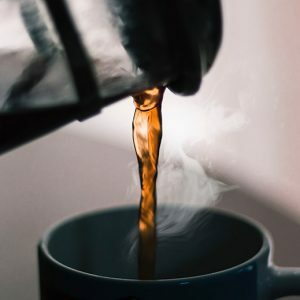 Do let me know what your thoughts are about this article in the comments below!